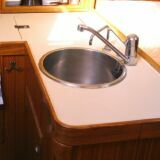 JEANNEAU SUN ODYSSEY 31 "SIROKOS"
A fast little cruiser having had Regatta successes in the past. 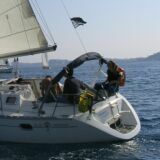 She has a conventional slab reefing mainsail for good performance, with a roller furling genoa. 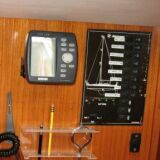 Lines are led aft for easy handling. 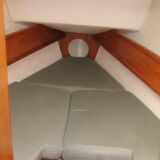 She has accommodation for up to six crew with two berths in the forepeak, which converts to a double, a double aft cabin and two berths in the saloon (the port berth converts to a large single/small double). 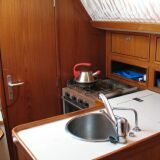 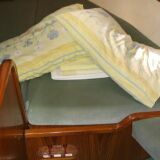 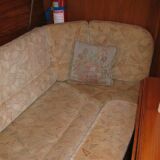 A well equipped galley area is to port with electric fridge, pressurised water and three burner stove with oven. 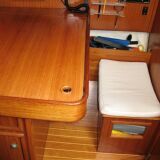 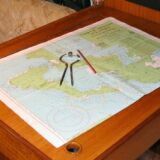 The full size chart table is to starboard, aft of which is the heads/shower compartment. 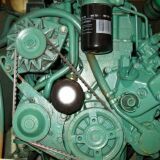 Well maintained 18hp Volvo diesel engine gives a good cruising speed of 6.2 knots. 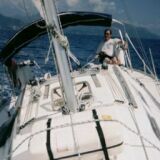 "Thanks so much for our splendid holiday. 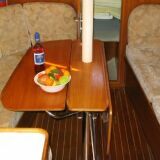 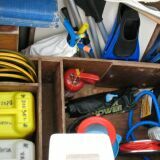 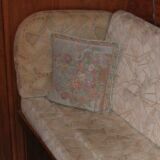 Your boat, preparation and service were all exactly as described and of the highest order!"